Tea is made from the buds and/or leaves of the tea plant, Camellia sinensis. 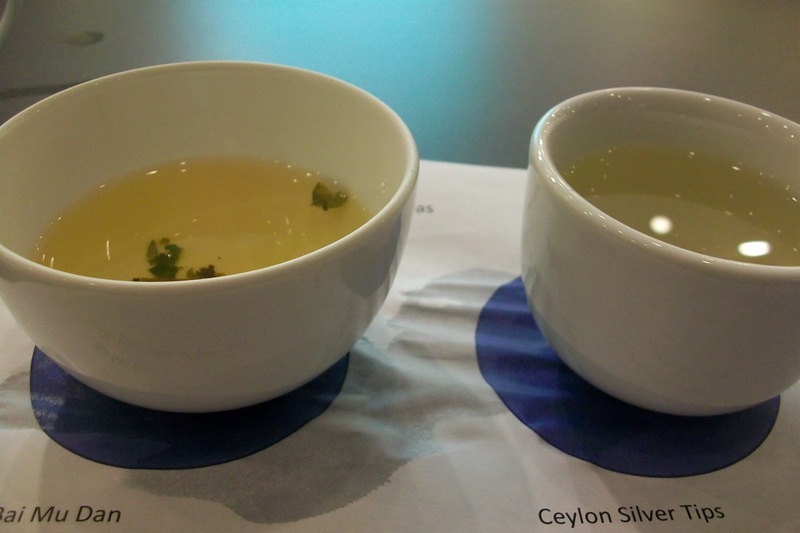 At a recent Harney & Sons tea tasting, we were served a buds-only tea -- Ceylon Silver Tips -- and a two leaves and a bud tea -- Bai Mu Dan. Both are white teas. Since Silver Tips is composed of buds only, the tea was little body or aroma. In the Harney & Sons catalogue, the flavor of this tea is described as "light, sweet, sublime." Also, note the lighter color of the Silver Tips liquor. This was in contrast to the Bai Mu Dan or White Peony which smelled like a crushed evergreen shrub and at room temperature was vegetal and creamy. 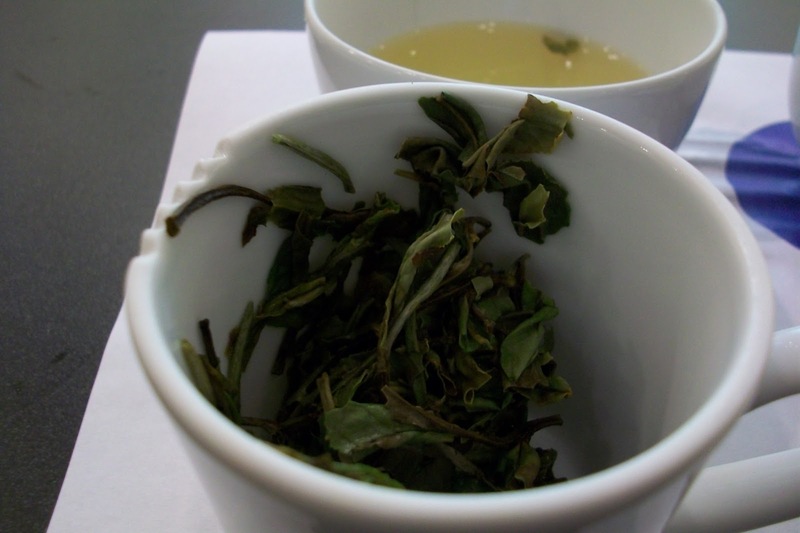 Bai Mu Dan is listed as Chinese White Mutan in the Autumn 2010 Harney & Sons catalogue. Stay tuned for the next post in this series of reviews of the Harney tea tasting in October 2010 at the International Culinary Center. Read the first post in this series: Yunnan pu-erh meets Kentucky bourbon.